One of the many joys of homeschooling is being able to prepare children for an upcoming holiday, rather than simply being swept away by it. November is the perfect time to take a break from regular studies, or add in some special activities by making Thanksgiving the central focus. 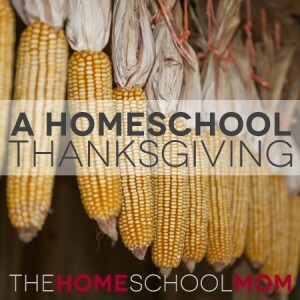 With its focus on the character quality of gratitude, rich history, and wonderful family traditions, Thanksgiving lends itself perfectly to being a homeschool theme. Spend some time this month and help children fully understand the history, meaning, and traditions of this holiday, and they will gain valuable information about the beginnings of our nation as well as the importance of being thankful. Homeschool parents get to kill two birds with one stone – teaching academics and character, while preparing kids to get the most out of the holiday at the same time! Pilgrim Hall Museum – This gallery museum in Plymouth, Massachusetts contains a variety of information and photos online related to the Pilgrims and Thanksgiving story. The Mayflower Society – This society of Mayflower descendants educates people about the role of the Pilgrims in history. It operates the Mayflower Society House, a museum in Plymouth, Massachusetts. An informative, interesting site. Pilgrim Father Origins – This association, from the United Kingdom, celebrates the heritage of the Separatists in England and the Pilgrims who settled in Massachusetts. The site includes variety of historical information and pictures. Holidays.net – Holidays.net provides information on a number of different holidays, including Thanksgiving. History.com – This site offers information and videos about the history of Thanksgiving and many related topics about Thanksgiving. 2020tech.com – Informative articles about the history of the holiday, including The First Thanksgiving Proclamation and George Washington’s Thanksgiving Proclamation. The Thanksgiving Story – This free e-book from Knowledge House reviews the history of Thanksgiving, and includes resource links, poems, Thanksgiving quotes, and a variety of activities for children. An excellent free resource! Read some free online Thanksgiving stories. Stories of the Pilgrims, by Margaret B. Pumphrey. This book can be read online at The Baldwin Project. Two Thanksgiving Day Gentleman, by O. Henry. This book and other Thanksgiving stories an be found at ExtremeIntellect.com. Short stories, such as The First Thanksgiving, by Nora Smith, can be found at Apples 4 the Teacher. The Art of Being Thankful, by Nicholas Gordon. This short story can be found at poemsforfree.com. An Old-Fashioned Thanksgiving, by Louisa May Alcott. This holiday story by the author of the classic Little Women can be found at victorianas.com. Make a Thanksgiving lapbook. Check out squidoo.com for resources and ideas (including printables), as well as lists of Thanksgiving lapbooks for purchase. Also visit Amy Loves It for other Thanksgiving lapbook ideas. Print out some Thanksgiving printable activities. These pdf files at The Toy Maker create everything from turkeys to Pilgrim people to napkin rings. Use these printable Thanksgiving decorations from Family Fun. Includes doilies, a basket, place cards, napkin holders, and more. DLTK’s Growing Together offers printables such as Thanksgiving awards and certificates, bookmarks, dominoes, gift cards, recipe cards, and more. This 39-page workbook includes Thanksgiving-themed crossword puzzles, unscramble-the-word worksheets, and more written activities. Activity Village offers printables such as “Learn to draw a pilgrim boy/girl”, Thanksgiving stationery, acrostic poems, and more. Find mazes, word search puzzles, cryptograms and more, all with a Thanksgiving theme, at Print Activities. Printable worksheets at Apples 4 the Teacher include such things as word jumbles, Thanksgiving math mat, word magnets, word searches and other fun and educational activities. Have kids dress up in Thanksgiving costumes. Choose Pilgrims or Native Americans. Make your own, (see video at Howcast for instructions on making pilgrim costumes, or video at eHow for instructions on making Indian costumes) or purchase costumes online. Make paper dolls to tell the Thanksgiving story. Print out the templates for these paper dolls, and use them to help reenact the Thanksgiving story. Consider Dr. Pat’s Paper Dolls, which are full color. Thanksgiving recipe book – Create a book in which you put Thanksgiving family recipes. Include a photo of each recipe. 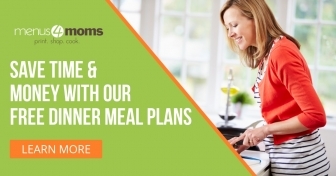 Children can copy the recipes, create the book, and decorate it, in order to preserve family recipe traditions, as well as help children understand what goes in to making the Thanksgiving meal. Turkey Crafts – Danielle’s Place offers a variety of turkey and Thanksgiving-themed crafts, using household items. Native American dice. In addition to playing a fun game similar to pick up sticks, this activity by mountainpulse.blogspot.com provides some teaching opportunities about the traditional playthings of Native Americans. Teepee centerpiece – Kids can make a centerpiece for the table, which parents can use as a teaching lesson about Native American life. Pilgrim People centerpiece – Paper towel tubes and construction paper make a cute centerpiece for the table of either Native Americans or Pilgrims. Mayflower craft – Use a milk carton to make a mini Mayflower. This is a great craft to accompany the story of the Pilgrims’ journey to America. Family Tree Leaf Pins – Kaboose has the instructions for the simple yet festive name tags that Thanksgiving guests can take home as a gift!